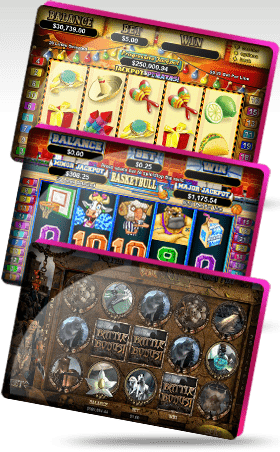 Because our software is provided by Real Time Gaming , or RTG, American gamblers will be glad to know that there are plenty of exciting slots at Slots Jungle that they can enjoy. These include the classic three-reel options with only a single payline, plenty of five-reel options with hundreds of paylines, and even some that have moderately valued progressive jackpots that make things even more exciting. The Real Series slots at Slots Jungle are without a doubt the most popular. Titles like Crystal Waters, Enchanted Gardens, Field of Green 2 and even Warlock's Spell can all bring realistic graphics and gameplay onto the screen. These are known industry-wide for being some of the most immersive games ever created, and we're sure that our customers will agree. In fact, those who want to try them out don't even have to download the software or create an account; they're all available instantly and for free! There are plenty of other video options outside of the Real Series, including Hillbillies, Mermaid Queen, Aztec's Treasures, Crazy Vegas, Funky Monkey and lots of others with varying volatility, unique bonus features and so much more. 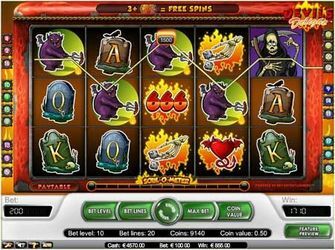 The online casino game can also be associated with a progressive jackpot which accumulates as people across the entire RTG network continue to place wagers on a particular machine. While these jackpots aren't as high as some of the others out there, they don't require a maximum bet in order to win and the prizes are still relatively large in nature. Anyone who is interested in trying out everything we've made available will be glad to know that we have put together an incredible bonus package that includes a 100% match of up to $2500 over the first four deposits for a possible total of $10,000. Each of these starts out with 25 free spins on the machine of the player's choice, as well which means 100 free spins total. For those who are already customers, we offer special promotions which are separate for slots and table games, but terms and conditions apply. Please review these carefully for information about wagering requirements, withdrawal minimums and more.